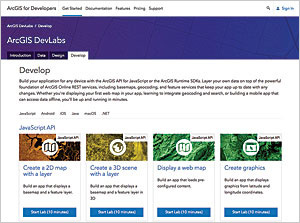 Esri DevLabs lets you learn how to build apps through short, focused tutorials. Are you a GIS professional new to app development or a developer new to GIS tools? Esri DevLabs was designed just for you. You can learn how to build an app in 15 minutes by working these brief, free, highly focused tutorials or labs. 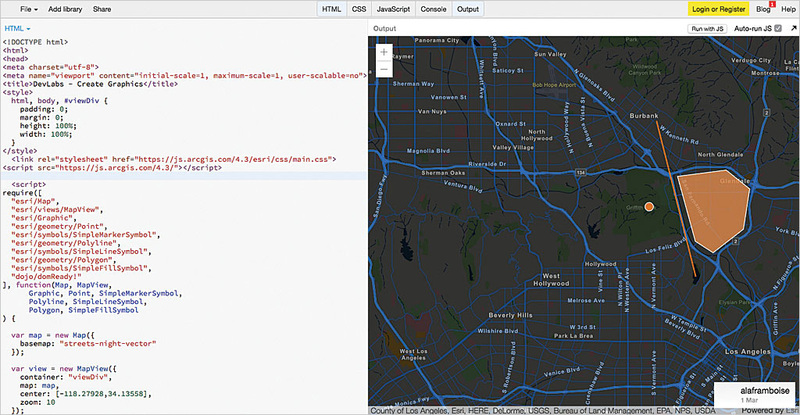 These short labs guide you through the data, design, and development aspects of app development with ArcGIS tools. They work with the Essentials, Builder, Professional, Premium, and Enterprise ArcGIS Developer subscription plans. You can use the data that comes with each lab or use your own data. The Data section labs show how to import, create, and manage data; enrich datasets; and perform spatial analyses to create new data. The Design section labs show how to create effective mapping apps that make use of great cartography, smart mapping, and efficient workflows. 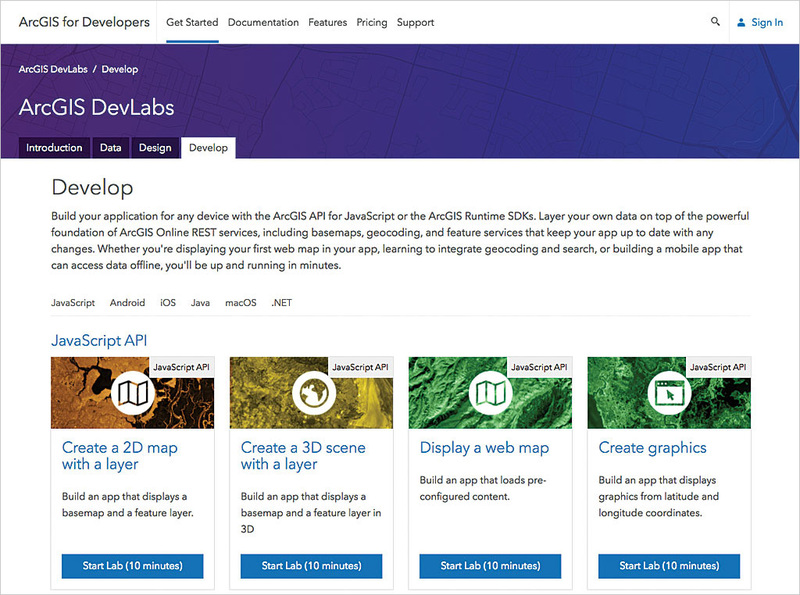 In the Develop section labs, you will learn how to build apps for any device that layer your data on top of a foundation of ArcGIS Online REST services that include basemaps, geocoding, and feature services that automatically keep your app up to date. Labs cover importing data from an open data hub into the ArcGIS Online cloud, creating datasets for apps, discovering contributed data for the Living Atlas of the World and other sources, and creating mobile map packages in ArcGIS for offline use with mobile SDKs. You will learn how to create 2D web maps and 3D web scenes, style web maps, and configure pop-ups. Visit Esri DevLabs today to start learning.